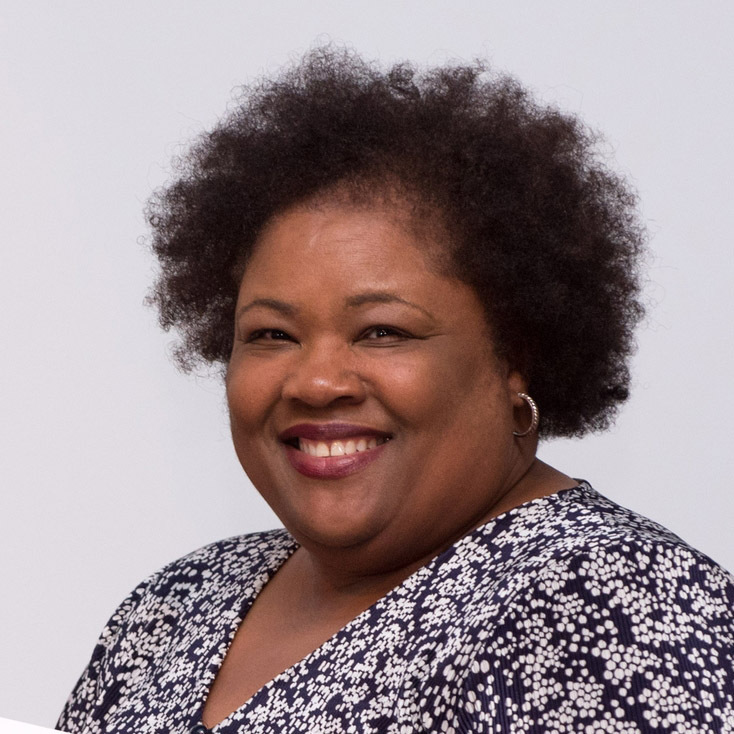 Dr. Catherine Calloway, professor of English, has been selected by the Learning Outcomes Advisory Council and Office of Assessment as professor of the month for May. 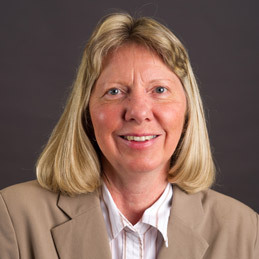 Calloway, a member of A-State's faculty since 1983, has a passion for teaching and assisting students. One of her successful techniques is incorporating student interests into her classroom curriculum in order to help maximize learning. Learn more in the video. Creative work by members of A-State's Marketing and Communications staff won nine awards, including four gold and five silver, at the Council for the Advancement and Support of Education District IV conference in Dallas. 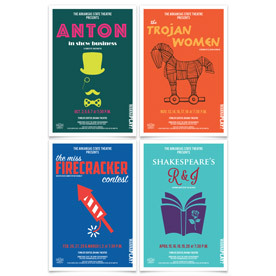 The Publications and Creative Services (PCS) team includes Mark Reeves, Heath Kelly, Mary Williams and Muriel Schrepfer. The Digital Creative Media (DCM) team includes Todd Clark, Tyler Silvey and Andrew Ferguson. See details here. 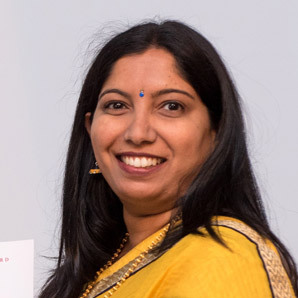 Prathima Appaji, Psychology & Counseling, was recognized at the Staff Distinguished Performance Awards ceremony with the Team Player Award. Her introduction said she "exemplifies the team player approach . . . She's always willing to lend a hand and creates a positive impression on everyone that comes into contact with her. She looks for areas that need to be improved, implements a plan and follows through." Renette McCargo, Media & Communication, received the Enhancing the Student Experience Award during the Staff Distinguished Performance recognition. Her introduction noted she "has done an amazing job enhancing the advising and career services for students . . . She knows nearly every student by name and spends many hours outside of the normal work day advising students and making them aware of scholarships, internships, and jobs." Ideas, news tips and feedback for Inside A-State are always welcome. 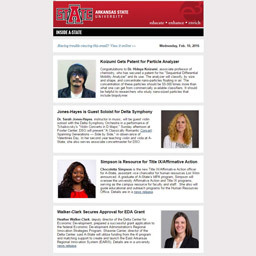 If one of your colleagues has recent professional activities or achievements that may be worthy of campus attention, please forward information to the Marketing and Communications Staff at news@astate.edu or call us at (870) 972-3820. Of course, self-submitted items are welcome, as well. Inside A-State is published weekly throughout the year.